Renault is cutting five models from its UK line-up and reducing its dealer count from 190 to 135 in an attempt to turn around its unprofitable British division. The cuts commence in February 2012 and will see Renault focus on four core models: Twingo, Clio, Megane and Scenic. The models to be cut are the Modus, Laguna, Espace, Kangoo and Wind. All are slow-sellers that only make up around 10% of the brand’s overall UK volume. Nonetheless, the Wind was launched just 18 months ago, while the Laguna has been on sale since 1993. 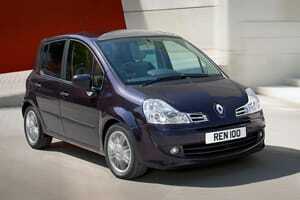 And the trend-setting Espace is one of Renault’s most famous models. The axed cars will remain on sale in Europe, where they are more popular. Renault also stresses that, while the Kangoo ‘car’ is no longer available, the Kangoo van range will remain on sale in the UK. 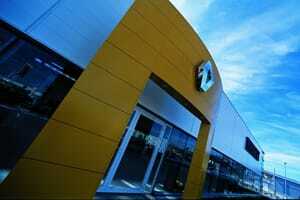 Renault is also cutting its UK dealer network by 30%. Sales have been declining in recent years and the brand has sold almost 26,000 fewer cars than it did last year. Further declines are expected for 2012, with Renault bosses speaking of selling just 51,000 cars. Compare that to 2005, when around 190,000 Renaults were sold in the UK. The French are fighting back with a four-year, 100,000-mile warranty, plus four years’ servicing breakdown cover and finance, to create a ‘Four+’ value package. The improved warranty will also work to offset concerns over poor reliability. According to the latest Which? Car Survey, Renault is in the bottom three for overall reliability, above only Alfa Romeo and Land Rover. Later in 2012, the Renault-engineered Dacia range will arrive in the UK. Dacia will launch with headline-grabbing (but no-haggle) prices: the Duster crossover SUV will cost from less than £10,000, while the Sandero supermini will be less than £7,000. Both are derived from the Renault Clio . Renault will also roll out its Z.E. electric car range in 2012, starting with the innovative Twizy in March and culminating with the introduction of the Zoe supermini in October. The intention is to create an electric car ‘halo range’ sitting above the core models. The Paris Motor Show in September will also see the new Clio 4 revealed. It’s the car many within Renault UK are pinning their hopes on. With the Z.E. And Dacia models offsetting some of the volume reduction, Renault hopes it is taking the pain now to ensure the longer-term profitability in the UK.